The MSE Equity Price Index added a further 0.32% to a four-week high of 4,480.777 points on continued positive sentiment across the local equity market. Thursday's gain was mostly driven by MIA as the equity ended the day at a new record high. On the other hand, GO and IHI trended lower while BOV was the only share to close unchanged. Malta International Airport plc surged 2.4% to a new record high of €6.50 on activity of 20,142 shares. On Thursday, the airport operator published the January 2019 traffic results. These showed a somewhat slow start to the new year as passenger movements increased by 4.1%. As seat capacity increased by 7.9%, the seat load factor dropped to 69% compared to 71.6% in the same period last year. Also among the large companies, RS2 Software plc regained its 10-month high of €1.48 across 11,100 shares. HSBC Bank Malta plc added to Wednesday's gains as the equity advanced by a further 0.6% to the €1.76 level on a total of 13,813 shares. The bank will kick-start the 2018 full-year reporting season on February 19, 2019. PG plc climbed 3.1% to the €1.35 level on encouraging volumes totalling 98,114 shares (after touching an intra-day high of €1.38) while Malta Properties Company plc trended 1.9% higher to €0.525, albeit on trivial activity. Plaza Centres plc retracted by 2.9% to the €1.00 mark across 48,500 shares. International Hotel Investments plc lost 1.6% to the €0.61 level on 17,745 shares. Two deals totalling just 2,700 shares forced the equity of GO plc to ease by 0.5% from its multi-year high of €4.30 back to the €4.28 level. This afternoon, GO announced the allocation policy in respect of the IPO of BMIT Technologies plc. The amount of shares available to ‘preferred applicants’ and the general public (i.e. 20.5 million shares which is equivalent to €10 million) was over-subscribed by two-and-a-half times as the amount of subscriptions received totalled 51.3 million shares (equivalent to €25.1 million). GO explained that any refunds will be made by Thursday February 14, 2019. The shares of BMIT are expected to be admitted to listing on the Official List of the Malta Stock Exchange on Friday February 15, 2019 and trading is expected to commence as from Monday February 18, 2019. 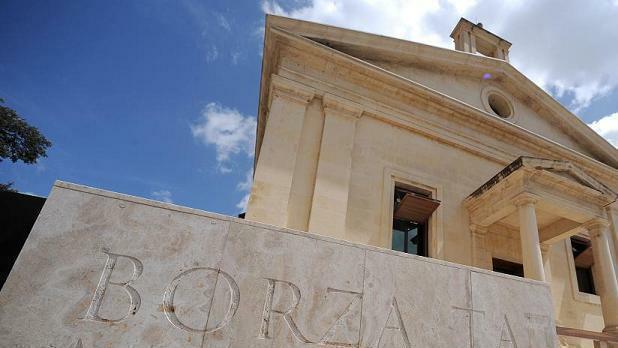 Meanwhile, Bank of Valletta plc retained the €1.28 level on shallow volumes. Following the gains in the previous two days, the RF MGS Index eased by 0.09% to 1,103.194 points. Movements in MGS prices were mostly influenced by changes in the yields of Italian government bonds as these rose markedly following the publication of media reports saying that the European Commission is likely to significantly revise lower the country’s GDP growth estimates for 2019.